Mark Abley is a Canadian poet, journalist, editor and non-fiction writer. He was born in Warwickshire, England, and moved to Alberta as a child with his parents. Since 1983 he has lived in Montreal with his family. Abley won a Rhodes scholarship from the University of Saskatchewan (1978), received the Eric Gregory Award from the Society of Authors in England (1981), the Fiona Mee Prize for Literary Journalism in Canada (1983, Canada’s National Newspaper Award for critical writing), and a 2005 Guggenheim Fellowship for research into language change. He has not only been a contributing editor of Maclean’s and Saturday Night magazines, but worked for sixteen years as a feature writer and book-review editor at the Montreal Gazette. In addition, he was a regular contributor to the Times Literary Supplement. His publications include three collections of poetry, two children’s books and several award-winning works of non-fiction. The Tongues of Earth brings together a selection of poems from his three previous collections, Blue Sand, Blue Moon (1988), Glasburyon (1994) and The Silver Palace Restaurant (2005) – all short-listed for the Quebec Writers’ Federation poetry prize –, along with several new poems. As Abley points out, ‘many of the poems, especially the earlier ones, have undergone significant changes since their first appearance’. The poems are arranged in four parts, each section with its internal cohesion and belonging, yet resonating with poems in other sections. With his international and humane perspective, his work ranging in setting from Ireland to Ethiopia, Tibet to Turkey, these poems are excursions into time and place, transporting us into neglected, forgotten corners of the world, not merely to educate us, but to provide us with evidence of having been moved and enlightened by contact with otherness, ‘to penetrate the inmost spirits’, to be aware of our shared humanity, our strength and limitation. all forgetting, all struggling to forget. down through your mother’s pain, her torn flesh? expecting us to know your cries. too hard to grow up. and I want you, I want you again. to shatter obligation like an egg. a gap in the discreet curtains at the night. shards of memory that scratch the heart. or a prospect of the one to come. The poem prepares us for the next, “Fire”, whose epigraph reminds us of the horror and destruction inflicted on a nation on the orders of of Gen. Curtis LeMay, who implemented a massive fire bombing campaign against cities in Japan, killing more people in Tokyo on the night of May 9-10, 1945, than ‘went up in vapour at Hiroshima and Nagasaki’. The tragedy is evoked sixty years later as ‘a Tokyo sky mutates into trembling / scrolls and screens, a calligraphy of fire.’ When the poet walks past an older man he wants to ask how he managed to live ‘when the sky delivered fire’… ‘frying infants on their mother’s backs, / boiling children alive in the canals, killing / a hundred thousand people in one night’. But he doesn’t ‘speak his tongue; and the old man is beaming.’ It is the image of the beaming face of an old man that stays with us, a redeeming feature of being human. Each time we lose a language we lose a way of living, a new way of seeing the world. This loss is more profound than we can imagine – this slow narrowing, limiting of our vision. 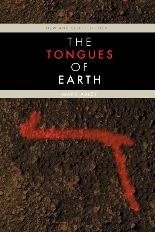 And, like all major works of art, The Tongues of Earth reveals its secrets when read again.